Give a gift of light to a family in Kenya. Children and families who do not have electricity will benefit from your gift. Chepkeitany Chirchir is seen here holding an Afri solar light. 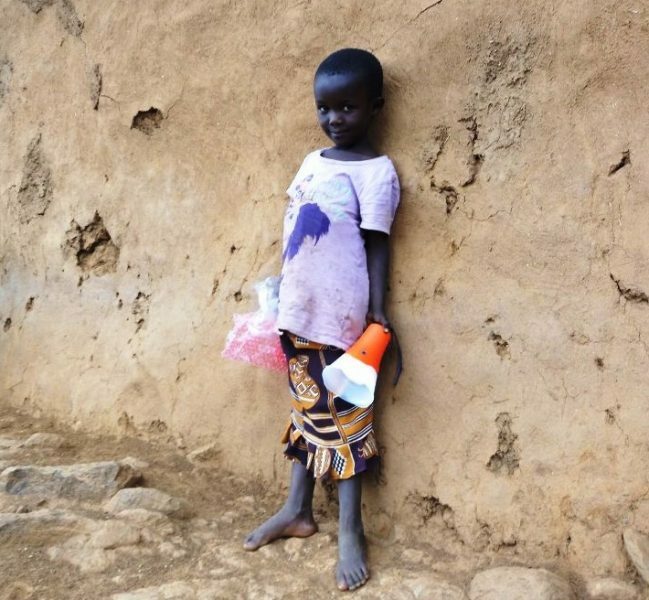 She is seven years old and lives with her grandmother, Kogo Talai, in Sarambei, Kenya. Chepkeitany is an orphan. Her mother died and the whereabouts or her father is unknown. Her grandmother has a two acre farm and herds goats and sheep. Chepkeitany attends Sarambei Primary School. Support Afri’s partnerships with Development Pamoja and the Kenya Pastoralist Journalist Network. €60 buys four solar lights which will benefit midwives, families, schoolchildren and the wider community. Families can use solar lights to enable them to work after dark, to supplement their income and to enable children to study in the evenings. All the money raised from Afri’s 2016 campaign went to purchase over one hundred solar lights in Northern Kenya and Mogotio on the Equator, north of Nakuru. In order that we can process your order please specify in the ‘Would you like to leave a message for Afri’ panel in the secure I-Donate window below that you would like to buy a solar light and provide a postal address. 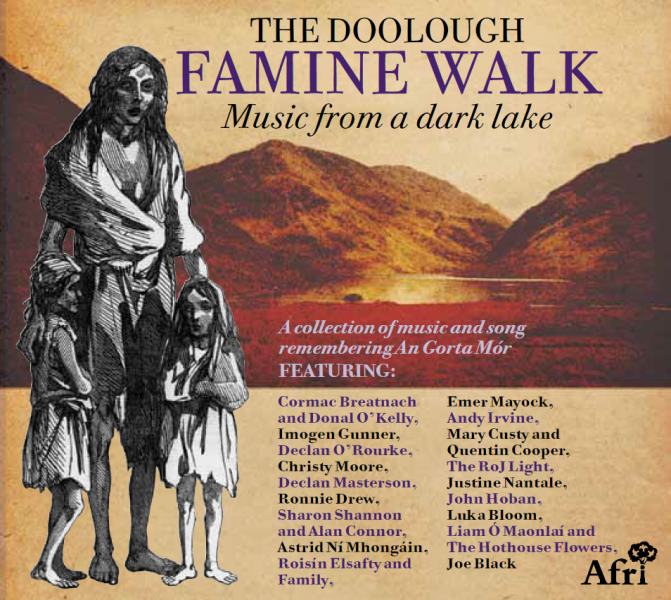 An 18 track CD by some of Ireland’s greatest artists – all of whom have performed at the Famine Walk – has been produced by Afri to mark the 30th Walk. This is an extraordinary collection of songs, music and spoken word accompanied by a 32 page booklet brimming with interesting facts, quotes and information. Be sure to get your copy! Here is a preview of what’s on the CD. This limited edition is available from Afri for €15 . 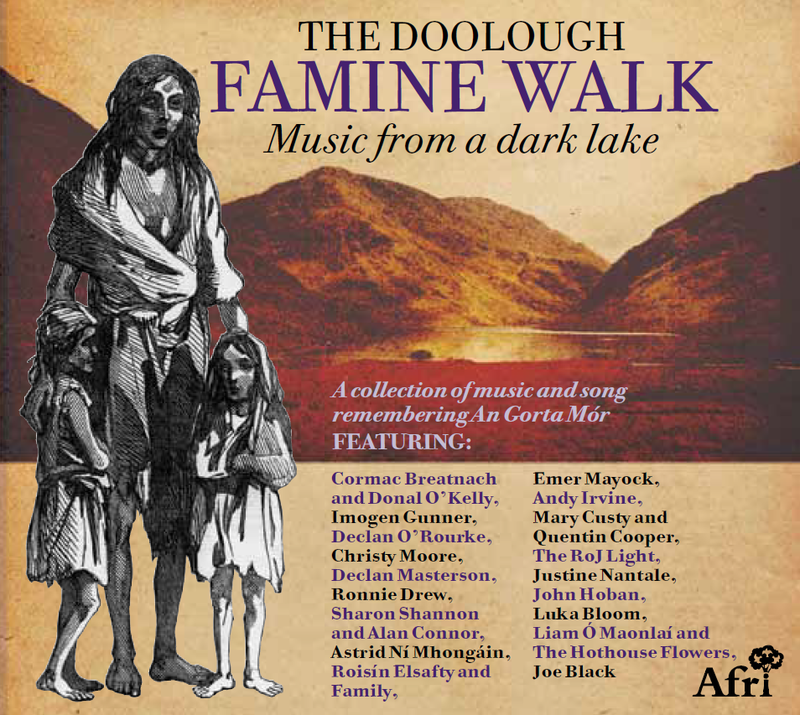 You can buy online by using the secure iDonate window below (making sure to provide your postal address and state that the donation is payment for the CD in the ‘would you like to leave a message for Afri’ panel). Alternatively contact us to pay by cheque or by Paypal (email admin@afri.ie or 01 8827563). Please note we do not have the facility to accept payments by credit or debit card over the phone. Afri achieves big things, often in quiet ways. Recent cutbacks mean your support has never been more important. It also ensures we maintain our independence, enabling us to support individuals, campaigns and causes that desperately need our help. Please include your name, address, telephone number and e-mail address to receive an acknowledgement. Lodge your donation directly into Afri current account at any bank branch. We would like to acknowledge your donation. Please click here to forward your contact details. If a donor gives more than €250 donation to charity either in the form of a lump sum payment or by way of direct debits/standing order where the amount for each year is more than €250, the donation may qualify for tax relief.